Harry Potter's all the rage, thanks to the wonderful fantasy series by J. K. Rowling. Not only are kids reading more than ever, they want to share their love of wizards and witches with their Muggle friends. Turn your party room into Hogwarts Hall with a few waves of Harry's magic wand, with additional ideas for giving Harry Potter gifts for birthdays or around the holidays. Make Wizard Maps for invitations. Round the edges of parchment paper with scissors. Write the party details to Hogwarts School (AKA your house), using invisible ink felt pens (available at the craft stores). Roll the invitation into cylinders, insert into mailing tube, along with a decoder pen, and mail to Muggles. Begin preparing the props, costumes, and decorations (see below). Welcome the guests with a sign at the front door that reads "Platform 9 3/4." Make "snitches" by spray painting Styrofoam or rubber balls gold, then glue feathers on each side, and hang them from the ceiling. Cover the walls and ceiling with glow-in-the-dark stars, moons, and lightning bolts. Set out stuffed toy owls, broomsticks, magic wands, and potions (candy-filled bottles). Cover the table with a paper cloth featuring stars, moons, and lightning bolts, and add matching paper products. Ask the guests to come dressed as a Harry Potter character from the series, such as Harry, Dudley, Hermione, Ron, Draco Malfoy, or Nearly Headless Nick. Have costume parts ready so guests can dress up when they arrive, such as wizards, creatures, ghosts, goblins, owls, and Muggles. Provide the guests with wizard caps, cloaks, and magic wands. Give everyone Harry glasses and "tattoo" a lightning bolt on their foreheads with felt pen. Play a version of Quidditch, Harry's favorite game, by providing the kids with a ball, some broomsticks, and a large area to play in. Divide the group into two teams, set up two goals on either side of the yard, and have the kids try to brush the ball over their own goal line. Have a Harry Potter Trivia Contest and ask questions based on the book - or a 'Who Said What?' game based on Harry Potter quotes. Have a Flavor Bean Tasting Contest. Buy a variety of jellybeans and place them in small paper cups covered with foil so they aren't visible. Pass one cup around at a time and have each player taste a jellybean without looking at it. Players must try to identify the flavors. Make Potter's Magic Potion by combining 2 cups white glue and 1 1/2 cups water together. Add a few drops of food coloring. In a separate container, dissolve 2 teaspoons borax in 2/3 cup warm water and mix well. Mix the borax and glue solutions together, and let the kids watch what happens to the mixture. Pass out handfuls and let the wizards work their magic. Wear smocks for this activity - it's messy, but fun! Let the kids create their own Wizard Capes and Magician Caps. For capes, cut length of inexpensive silky lining fabric and let the kids decorate it with felt-tip pens, glue-on glitter, and decals in the shape of stars, moons, and lightning bolts. For caps, give them lengths of felt, cut into rectangles. Fold the felt into a cone shape, staple it closed, trim off a straight edge, and decorate with glue-on sequins, glitter, puffy paints, and decals. Buy a plastic cauldron or use a black pot for serving the food. Fill it with soup, macaroni and cheese, or beef stew. Serve "magic potions" in plastic goblets. Offer multicolored drinks - red, blue, green, orange - for added fun. Called them Rum-Runners. 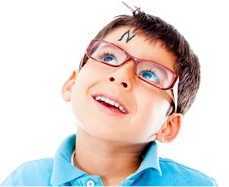 Give the kids magic wands, jellybeans, wizard caps and capes, copies of Harry Potter books or tapes, Harry glasses, and press-on tattoos. Place them in small fabric bags tied with ribbon or velvelt cords.